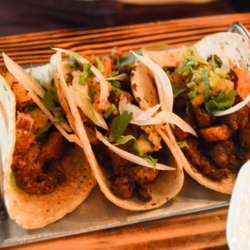 Please join your Omaha InterNations friends for some Mexican-inspired dishes at Mula Mexican Kitchen & Tequileria in the heart of the Omaha Blackstone District. According to their website, Mula tries to distinguish themselves from other restaurants in Omaha by educating their staff about the history, production, and regulation of the tequila beverage - from the harvesting of the agave plant in the fields of Jalisco to the fermentation and distillation process. The Omaha World-Herald has given Mula positive reviews. Friends and family are more than welcome!